Welcome to my ETFs page. On this page I will share some articles about ETFs, how I use them, what some considerations might be for you – as we march on our path to owning a $1 million investment portfolio. Read about ETFs in my 101 post here. What makes a great ETF? How many ETFs are enough? What are the best ETFs to own to generate wealth? How can I diversify my Tax Free Savings Account (TFSA) using ETFs? What are some simple, low-cost, all-in-one ETFs? Should you change your ETF strategy as you get older? What are some great low-cost ETFs to invest in the U.S. market? Find them here! These are the best all-in-one ETFs to own! No re-balancing, diversified – just low-cost buy and hold investing to get wealthy eventually. Why do I like using Exchange Traded Funds (ETFs)? 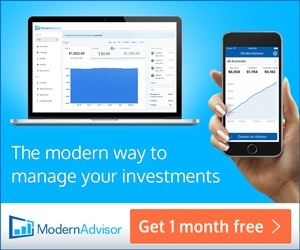 To obtain near-market performance less minuscule money management fees. To obtain great diversification (from companies and countries from around the world). To “set and forget” part of our portfolio. What are my favourite low-cost diversified ETFs? Any of these funds will give you access to a Canadian market that is largely ~30-40% financials and ~20% energy. Pick one of these funds and sleep easy for the Canadian portion of your portfolio. Want income from your portfolio? I do too! Read about my Top Canadian dividend ETFs. U.S. listed ETFs inside the U.S. dollar portion of your RRSP are the most efficient way to invest in the U.S. stock market. Any of these funds will allow you to ride U.S. equity returns for decades to come. Alternatively, you can invest in a Canadian-listed ETF that holds U.S. stocks as assets. You’ll pay a bit more but at least you won’t have to worry about Canadian to U.S. currency conversions. What are my favourite low-cost dividend ETFs? Top U.S. dividend ETFs (disclosure: including Vanguard’s VYM that I own). What is my ETF strategy? After buying and holding about 30 Canadian dividend paying stocks and about 10 U.S. dividend paying stocks for income and growth – we focus on owning U.S.-listed ETFs in our RRSPs for extra diversification. We get solid yield (income) of about 3% from these ETFs. This income will be used to pay for our expenses without selling units of the fund. I’m a big fan of VYM. I own a few hundred shares. We get growth over time. These ETFs offer growth in addition to quarterly income. The management fee is next to nothing. These ETFs charge some of the lowest fees available across the financial industry. My fees using these ETFs are <$100 per year. If I own $10,000 of VYM for example (and I do) my money management fees are just $8 per year. We avoid withholding taxes. U.S.-listed ETFs held inside an RRSP avoid withholding taxes of 15%. It’s worth reminding you foreign dividends are taxed at your marginal rate otherwise. Be aware Canada has tax treaties with the U.S. and many other countries. Those tax treaties waive withholding taxes on U.S. stocks or U.S. ETFs in registered accounts like RRSPs, RRIFs and Locked-In Retirement Accounts (LIRAs). TFSAs don’t apply to these tax treaties. In a TFSA you must pay 15% withholding taxes on distributions earned using a U.S. ETF or 15% withholding tax on a U.S. stock like Coca-Cola. So, we tend to keep our Canadian stocks inside our TFSA and U.S. stocks and U.S. ETFs inside our RRSPs. Be tax smart where you can. Want a head start on everyone else? 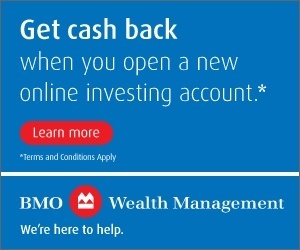 Save big with BMO! 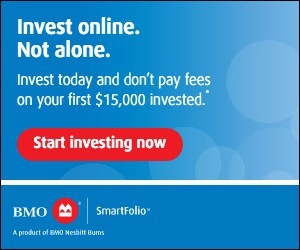 Make sure you use promo code MYOCASH for My Own Advisor’s special offer when opening your BMO InvestorLine account! Thanks for visiting and make sure you subscribe to my site!